Experience the highly acclaimed tour on foot as you walk through the ancient and mystical streets of the Roman City of Bath. Our experienced guides have been thrilling visitors to Bath since 1974 with the real-life stories of macabre goings-on, hauntings and the tragic events of yester-year. Walks take place every Thursday, Friday and Saturday night at 8:00 pm all year round. Meeting Point: Outside the Garricks Head. For a limited time we are offering a reduced price to anyone who can show the guide a student card. Please note that on Friday and Saturday the regular student price of �applies. Ghost Walks of Bath will take you to many famous places noted for their strange events. Apart from experiencing first hand the charm of this wonderful city and its Georgian buildings, you can sample the atmosphere and imagine the situations which set the stage for so many strange events which have been so well documented. 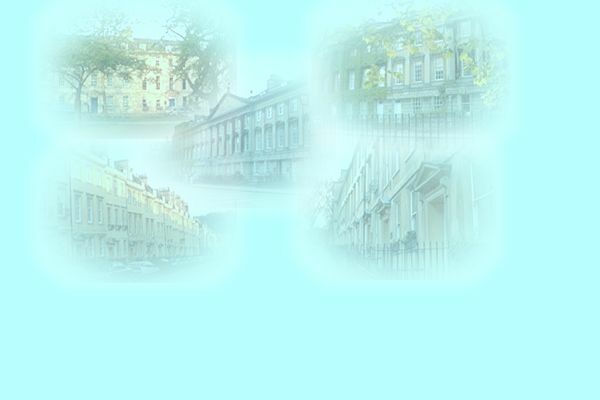 Visitors from all over the world visit Bath when in the UK and join our tours which are an enlightening experience. They take in this splendid city and watch the mysteries unfold - and perhaps feel just a sprinkling of fear! Thousands of people over the years have enjoyed our walk, many of whom have come back time and again to relive the stories we tell. Local people and people from all corners of the world have experienced the mystical history of the City of Bath against the beautiful backdrop of its Georgian architecture. Since 1974 when the walks were first established by a local historian and psychic, the Ghost Walks of Bath have been well noted by the local and national press and have been featured many times on American, Irish and British television. GROUP BOOKINGS: Minimum of �.00 (equivalent to 10 people). Childrens' Birthday Parties from � includes 12 children and 2 adults plus a Bravery Certificate (suitable for 7- 15 years). Additional children �00 each. We will take bookings for parties for any time throughout the year. Dependant on the availability of a guide. Group bookings usually start at 7.30 pm or by prior arrangement. Overseas visitors: please contact us in advance by phone or email in order that we may confirm your booking and ensure that you have a place on the walk. Please ensure that when you join the walk all members of your party turn off their mobile telephones. Ring tones and private conversations during the walk are distracting and may spoil the enjoyment of others on the walk. Special requirements such as early tours for children or large groups can often be accommodated. Please telephone us for details. This walk is always popular so be sure to book early to avoid disappointment.